Words by Kevin Doocey on July 17, 2009 . The main news today regarding the takeover is that Profitable Group have upped their bid for Newcastle United. The last bit we had heard for these was , that they were waiting on a reply about their initial bid which is unknown. However the bid was insufficient and today, they were meant to have bid again, the bid is understood to be less than £100m but indeed covering that price in clauses and installments. We’re still in the dark over what’s going on and there’s a transfer embargo on the club whilst its ownership is being discussed. Meaning no players can come in or out of the club while the talks continue. 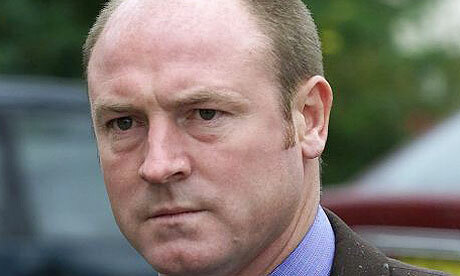 What we can’t understand is why Alan Shearer hasn’t been appointed while the discussions are ongoing. It would make perfect sense but it seems Mike Ashley and Derek Llambias aren’t that clever. The Profitable Group, led by former Liverpool midfielder Steve McMahon plan to reinstate Shearer as head coach and McMahon is rumoured to have held discussion with Alan already, making sure he’d be interested in the job. We’re not sure, still, how many bidders there are, and how much they’ve bid. Are there Malaysians bidding, Americans? We’re just hoping for a sale soon, before this season turn disastrous too. even IF this is true by the time anything is sorted we will be dead in the water as regards a push for promotion. I am so freaking sick of this crud. There'll still be too big a wage bill because the Window closes in 6 weeks. The Ashley/Wise/Llambias period has been a disaster. I know. We need to ship a lot out and a lot in too. We need younger talent on a lower wage, not that hard to find either.